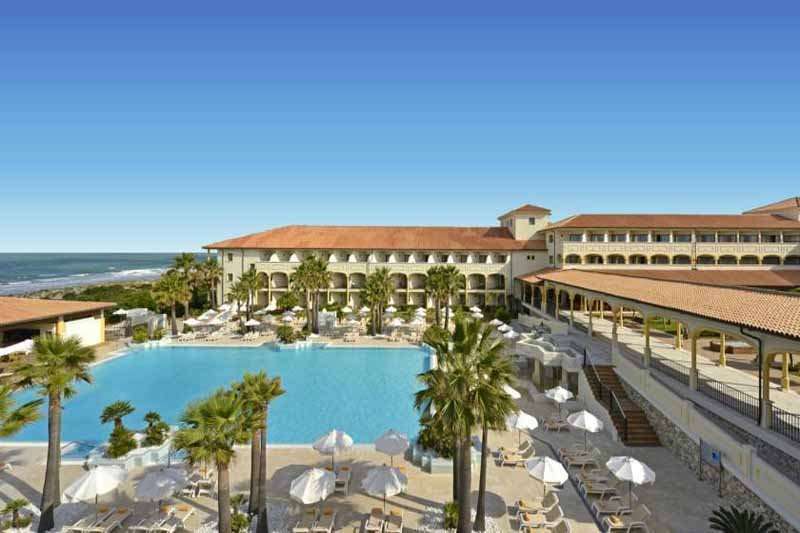 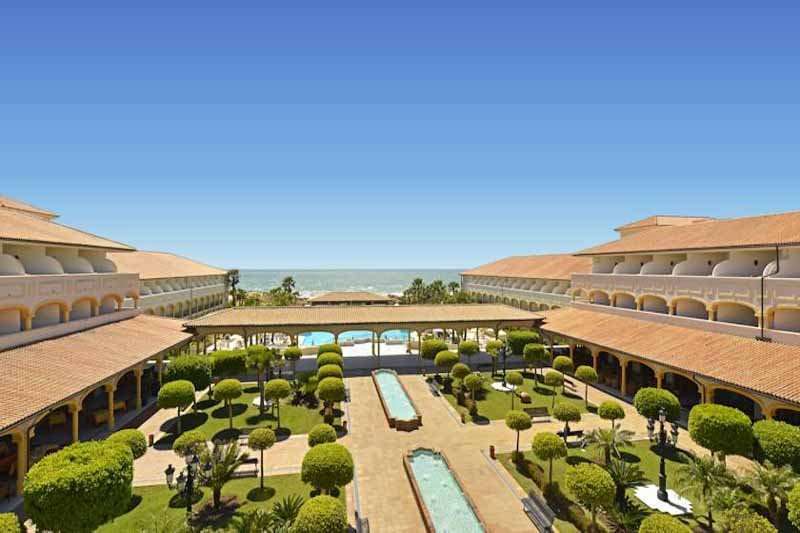 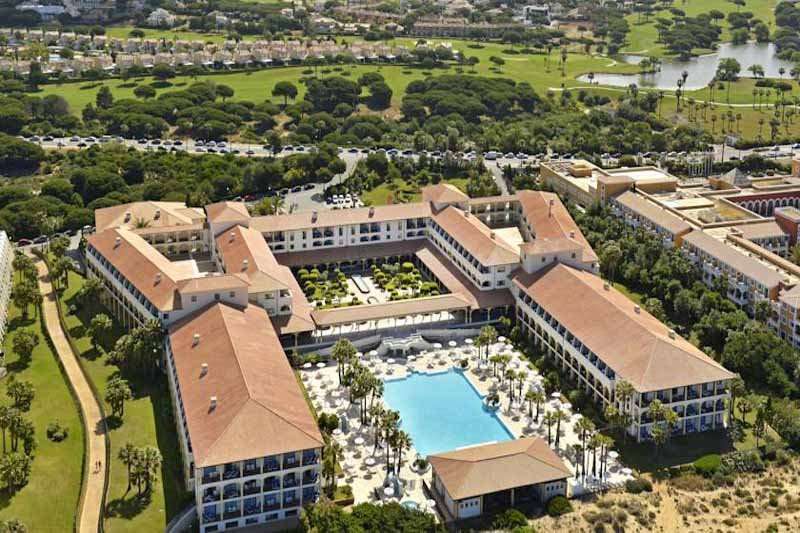 Located in the beach resort of Novo Sancti Petri, the luxurious 5* Iberostar Selection Andalucia Playa offers all you need for the perfect golf holiday on the Costa de la Luz. 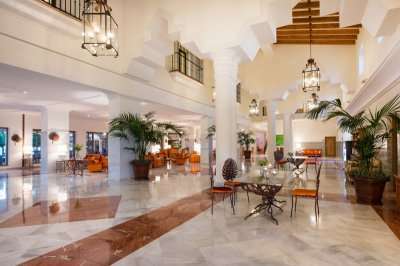 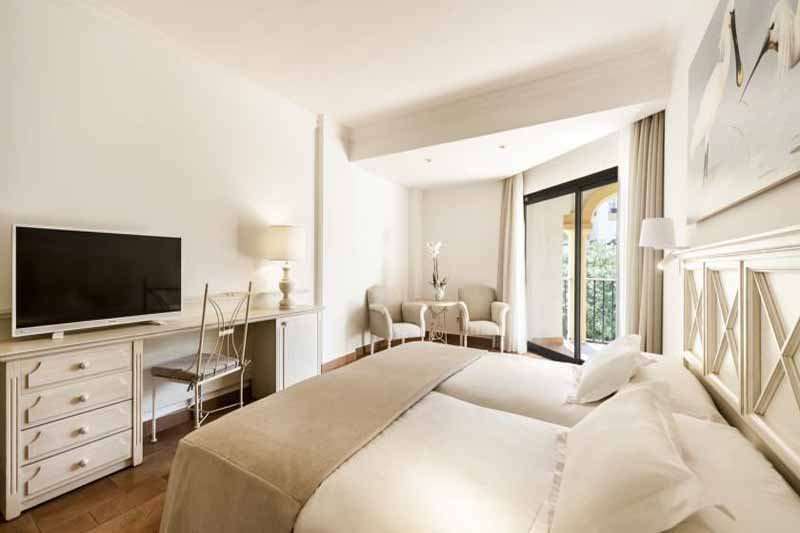 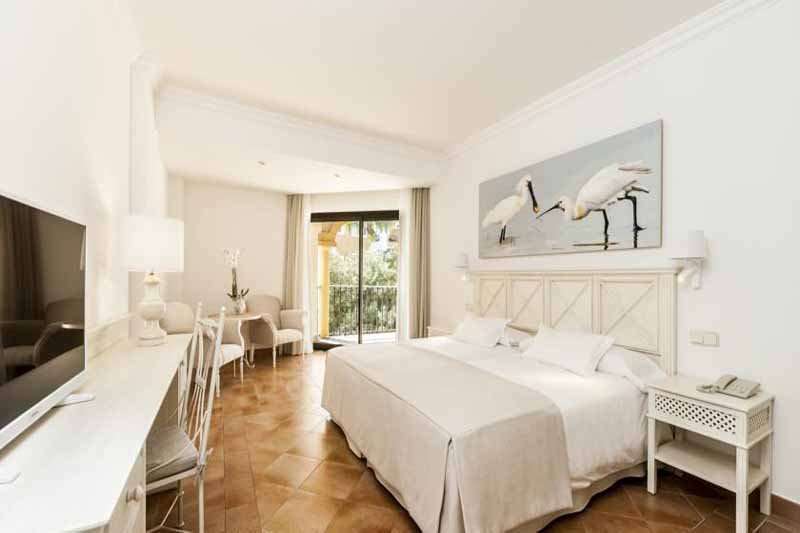 This plush modern all inclusive hotel, which was renovated in 2018, is designed in a typical Andalucian style and exudes a lavish stay from the first moment you arrive at the hotels welcoming reception. 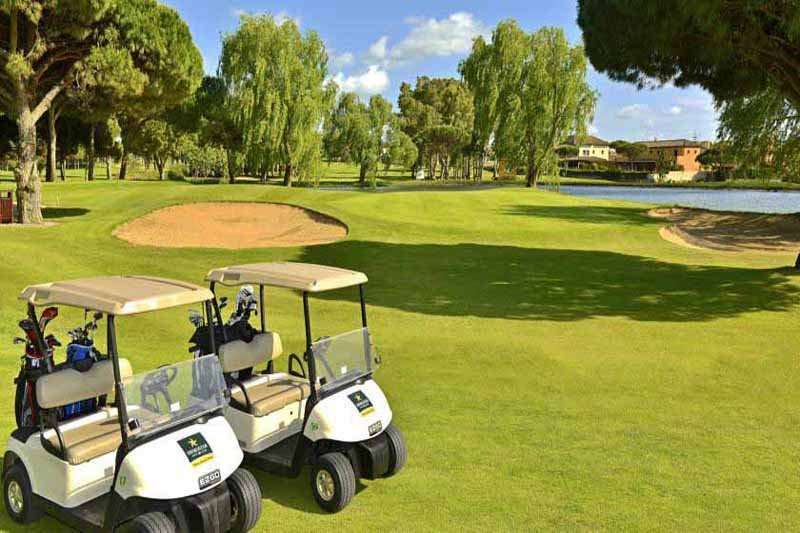 Golfers are well looked after with the clubhouse of the superb 36-hole design at Novo Santi Petri Golf Club just a short 5 minute walk from the hotel. 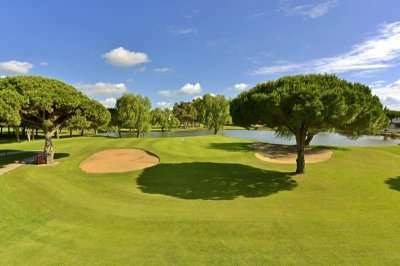 Alternatively guests can use the free shuttle service to and from the golf course. 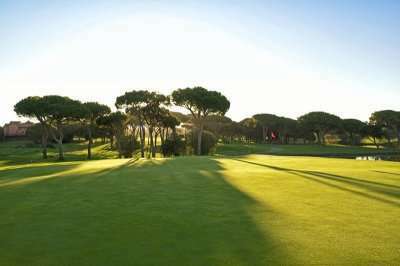 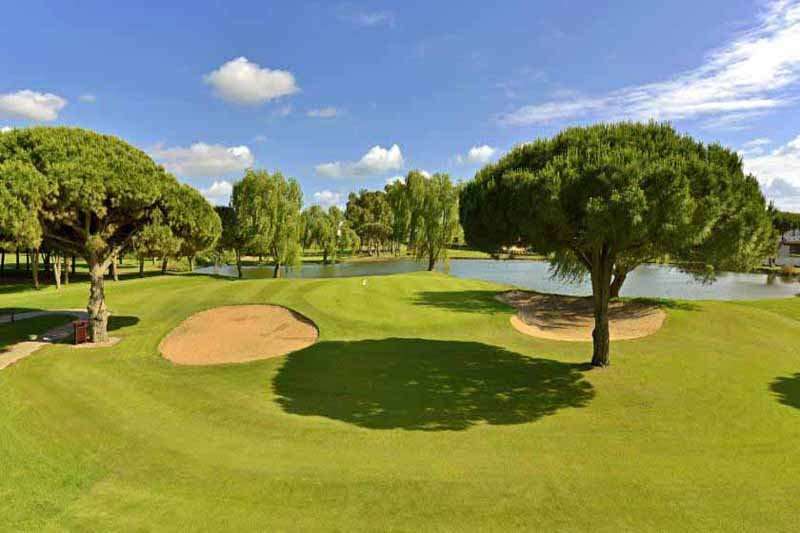 There are three other courses within a short proximity of the hotel, each with their own style and character, including the technical layout at Sancti Petri Hills, or the traditional inland links feel at La Estancia, with its rustic Spanish charm. 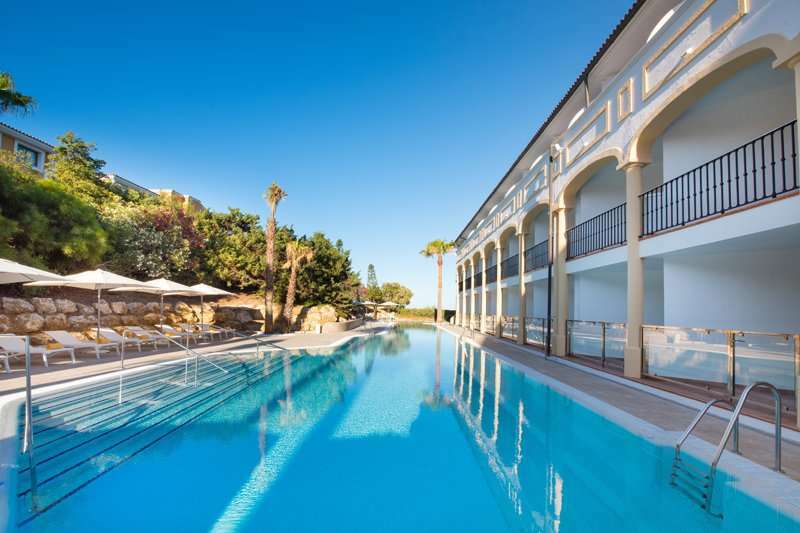 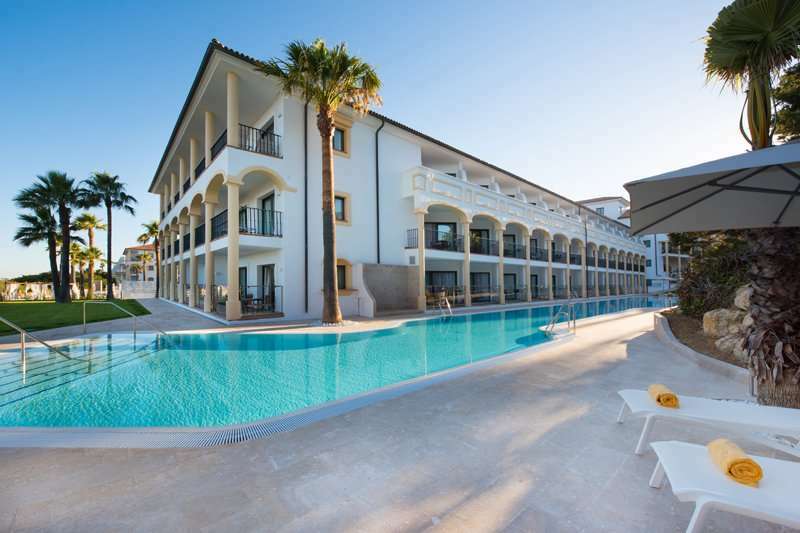 The location is perfect for a relaxing golf holiday with a wide range of restaurants and bars within 5 minutes walk and the beautiful Playa la Barrosa beach sitting right in front of the hotel. 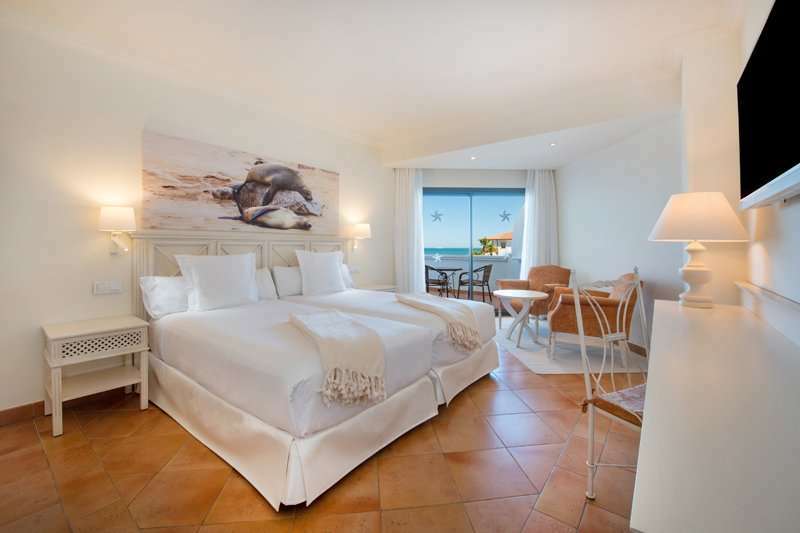 Each of the spacious and contemporary rooms offer a relaxing ambience and feature either views of the sea, the golf course or the hotels gardens, and come with all the luxury amenities and home comforts expected of a 5* resort. The gastronomy here is certainly worth waiting for with three superb restaurants onsite. 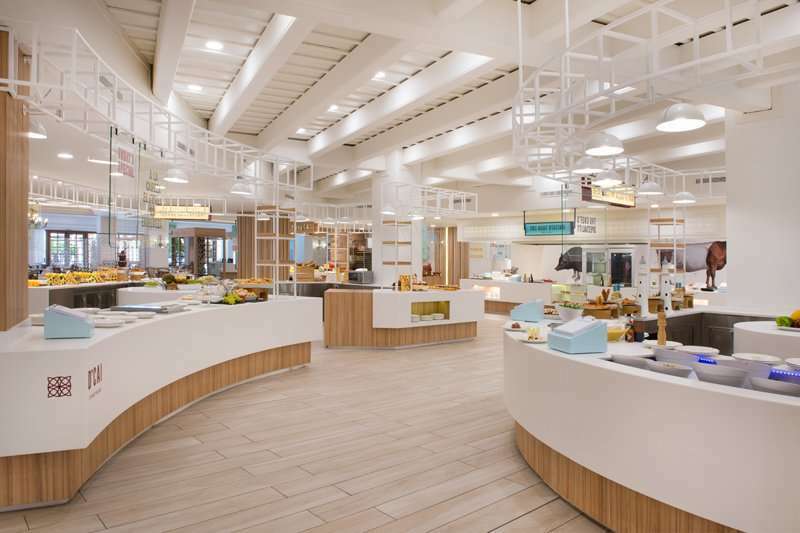 The food market at D’CAI Cocina de Mercado offers an international buffet service of the highest quality, with a chef and show cooking at every stand. 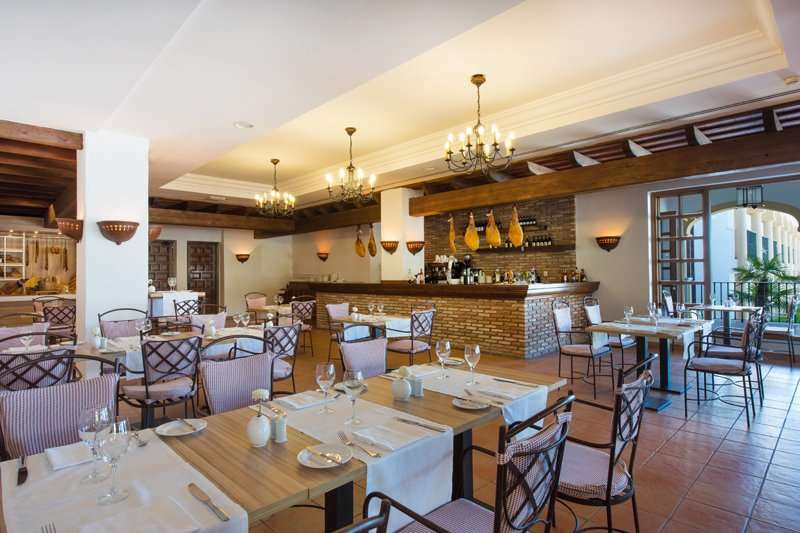 The ala carte menus at Catarina and La Bodega are some of the best you will find in the region of Novo Sancti Petri and are certainly worth a try during your stay. 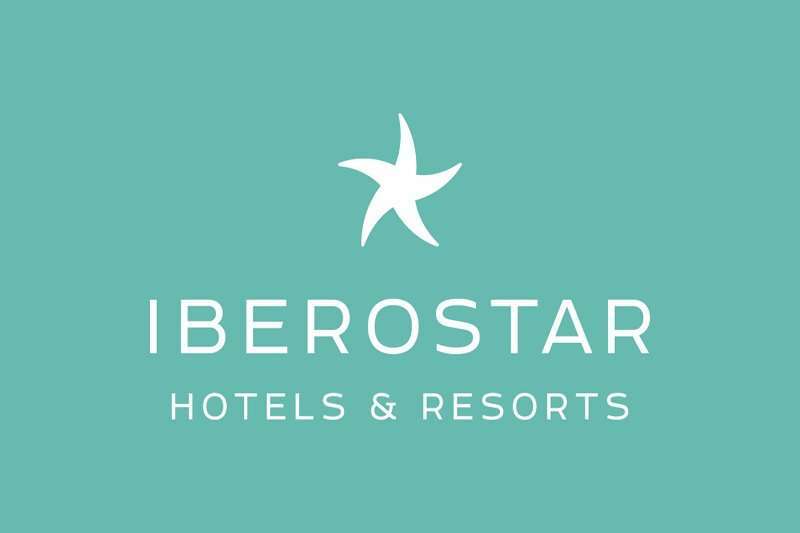 The three bars at the Iberostar Selection Andalucia Play are all on hand to serve you a refreshing beverage after challenging the superior Novo Sancti Petri courses. 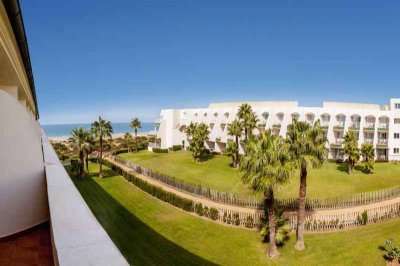 A luxurious all-inclusive option is also available at the hotel whereby prices to upgrade to an all-inclusive golf holiday are very reasonable, which is why the Iberostar Selection Andalucia Playa has proved very popular with Golf Escapes clients looking for an all-inclusive golf holiday in the Costa del la Luz.